Now, there are other phases of the Lord’s work in which all members can participate, in which the growth of character is assured and the promise of life eternal bestowed. One such endeavor is referred to as the welfare program. Actually, the language of King Benjamin from the book of Mosiah provides a perfect scriptural description, even a solemn charge to each of us: “For the sake of retaining a remission of your sins from day to day, that ye may walk guiltless before God—I would that ye should impart of your substance to the poor, every man according to that which he hath, such as feeding the hungry, clothing the naked, visiting the sick and administering to their relief, both spiritually and temporally.” President Marion G. Romney spoke concerning the funding of caring for the needy when he said: “It has been, and now is, the desire and the objective of the Church to obtain from fast offerings the necessary funds to meet the cash needs of the welfare program. … At the present time we are not meeting this objective. We can, we ought, and we must do better. If we will double our fast offerings, we shall increase our own prosperity, both spiritually and temporally. This the Lord has promised, and this has been the record.” Are we generous in the payment of our fast offerings? That we should be so was taught by President Joseph F. Smith. He declared that it is incumbent upon every Latter-day Saint to give to his bishop on fast day an amount equivalent to the food that he and his family would consume for the day and, if possible, a liberal donation to be so reserved and donated to the poor. President Spencer W. Kimball suggested that, in our generosity, we go beyond a minimum amount. 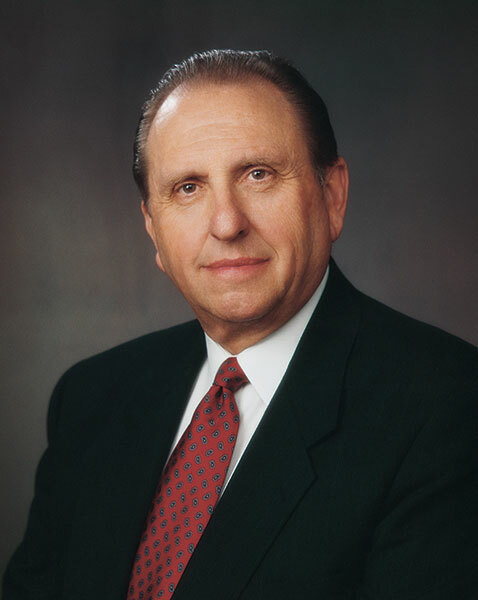 He urged that we “give, instead of the amount we saved by our two meals of fasting, perhaps much, much more—ten times more where we are in a position to do it.” The generous response of the Latter-day Saints in times of crisis is legendary. Many will remember the emergency aid provided our needy Saints in Europe following World War II. President Ezra Taft Benson directed this effort. More recently, this generosity helped to avert starvation in Africa. Irrigation projects, producing wells, and improved agricultural methods are all part of a dream come true. Similarly, at the time of the Teton Dam disaster in Idaho, the response of the members to the call of need was overwhelming. Today, in lands far away and right here in Salt Lake City, there are those who suffer hunger, who know want and are acquainted with poverty. Ours is the opportunity and the sacred privilege to relieve this hunger, to meet this want, to eliminate this poverty. May I begin by making a comment or two concerning the fine messages we have heard this morning from Sister Allred and Bishop Burton and others pertaining to the Church’s welfare program. As indicated, this year marks the 75th anniversary of this inspired program, which has blessed the lives of so many. It was my privilege to know personally some of those who pioneered this great endeavor—men of compassion and foresight. As both Bishop Burton and Sister Allred and others mentioned, the bishop of the ward is given the responsibility to care for those in need who reside within the boundaries of his ward. Such was my privilege when I presided as a very young bishop in Salt Lake City over a ward of 1,080 members, including 84 widows. There were many who needed assistance. How grateful I was for the welfare program of the Church and for the help of the Relief Society and the priesthood quorums. I declare that the welfare program of The Church of Jesus Christ of Latter-day Saints is inspired of Almighty God.